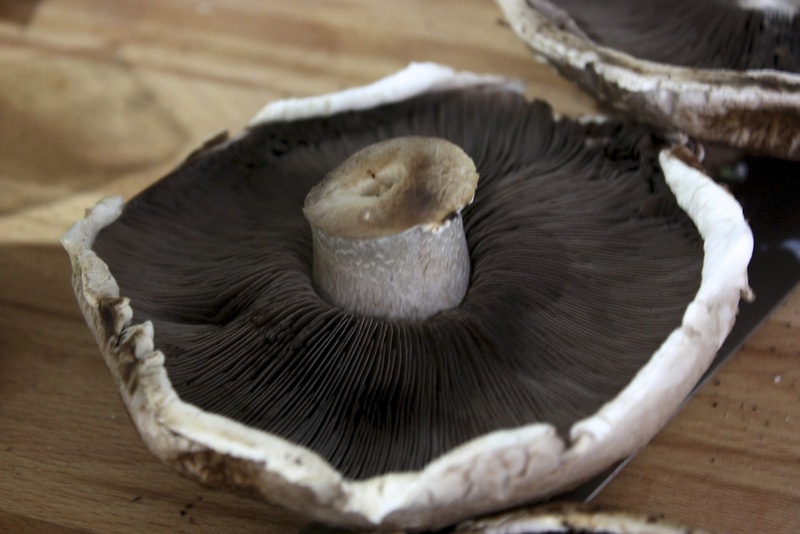 Take your beautiful portobello cap and using a spoon, scrape the brown gills out and remove the stem cap. 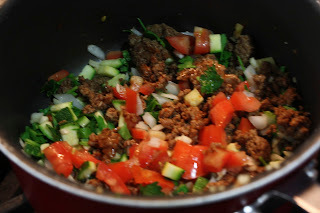 Dice the stem to use in the filling. Taking your cooked hamburger meat, add the diced vegetables, and cook over medium heat until all vegetables soften. 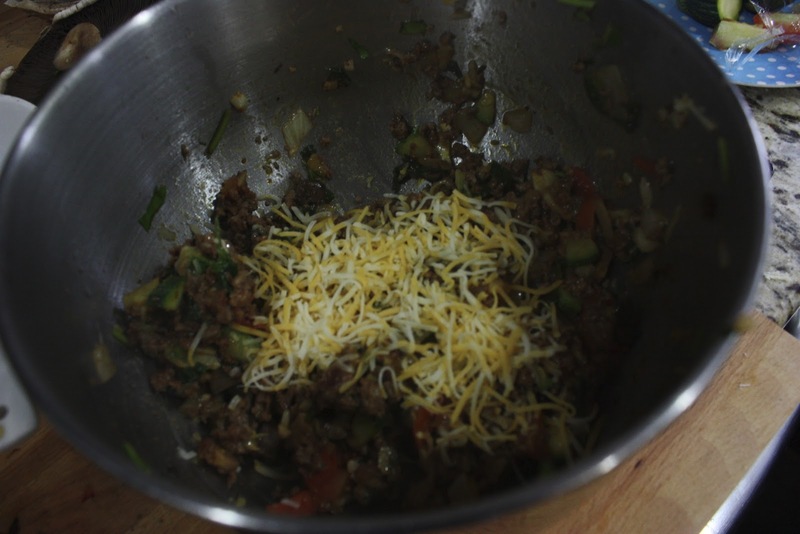 Remove from heat and stir in the shredded cheese. Check seasonings. 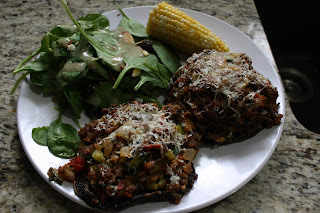 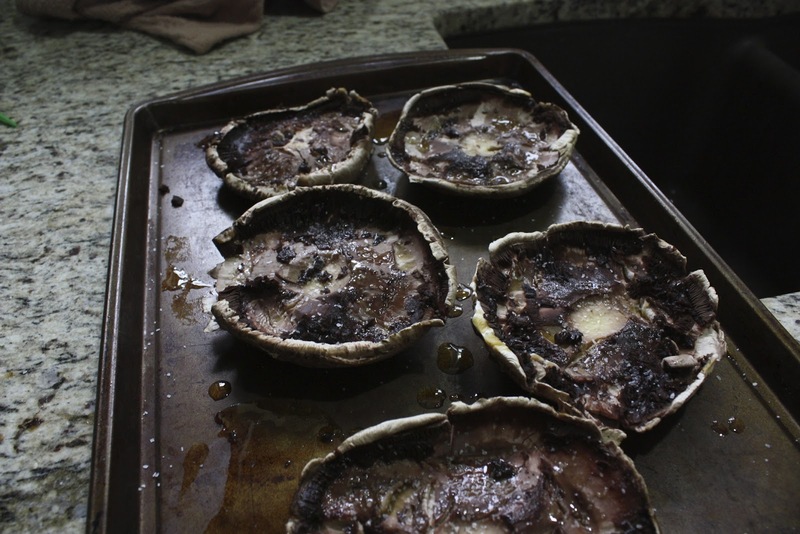 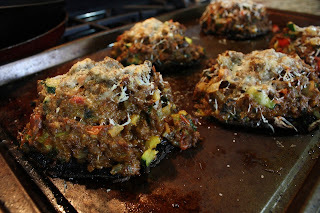 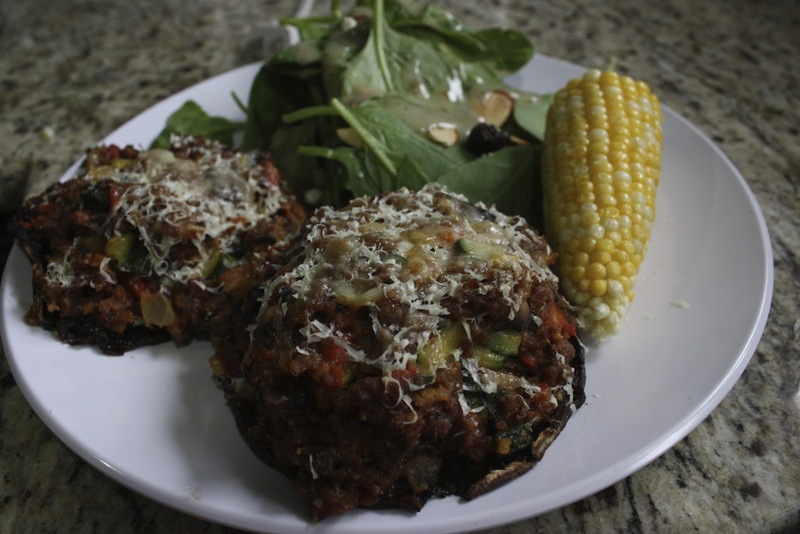 Place your prepared portobello caps on a baking sheet and drizzle with olive oil, salt and pepper, and place under the broiler for 5-10 minutes to soften. 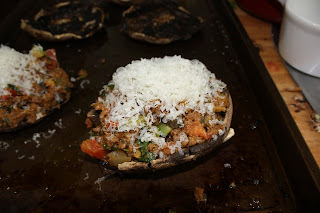 After they have softened, add the filling packing tightly into the caps, and top with shredded parmesan cheese. Place under broiler again for 10-15 minutes until the cheese has melted.